Depending on your approach, your learning management system (LMS) can be the most important component in your connected learning environment. This is because a high quality LMS product will support the standards recommended by NETS-S, (National Education Technology Standards for Students ) There are many excellent LMS products that are worth considering. Our district chose Schoology as our LMS solution because of the feature-rich learning options, the digital workflow solution, and the opportunity to integrate other existing programs. NETS-S #1 - "Creativity and Innovation" - A high-quality LMS package like Schoology will allow students to upload creative and innovative artifacts of learning. These may include pictures, video, and other digital presentations. Reports, compositions, and assessments can be submitted digitally for review and evaluation. NETS-S #2 - "Communication and Collaboration" - Schoology provides opportunities for students to work collaboratively with Google Drive integration. Communication can be enhanced with class blogs, discussion boards, and Twitter / Facebook posts with comments. Teachers, students, and even parents can receive email and text message notification of course updates. NETS-S #3 - "Research and Information Fluency" - A good LMS will provide networking opportunities along with a capacity for sharing documents, files, and links to resources that support investigative research. Students can create electronic portfolios that highlight exemplary work samples, projects, and solutions to problems. NETS-S #4 - "Critical Thinking, Problem Solving, and Decision Making" - Our LMS permits the use of a variety of digital tools that support digital research, problem-solving, project management, and critical thinking. Project management is supported by recording significant questions, identifying and assessing authentic problems, and allowing multiple or diverse perspectives in finding solutions. 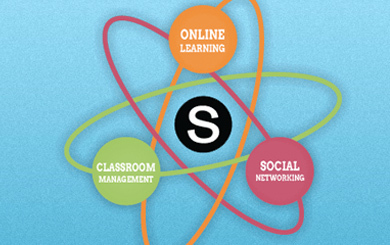 NETS-S #5 - "Digital Citizenship" - Schoology provides a controlled environment where students and teachers can interact digitally. 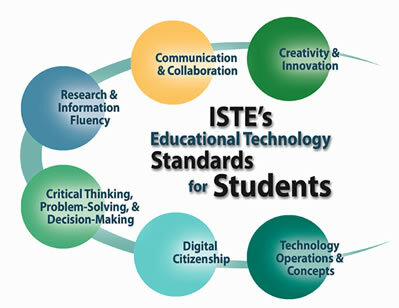 Teachers can model and reinforce responsible digital communication and web etiquette. NETS-S #6 - "Technology Operations and Concepts" - The LMS provides a platform for students to demonstrate their understanding of technology systems, concepts, and operations. Students can select technology programs to enhance productivity, and provide a means to transfer learning to other endeavors. Students learn the vocabulary and best-practices associated with connected learning and related digital technologies. In the same time period that 1500 iPads were provided to students as part of a 1:1 pilot, 7000 students created personal accounts in Schoology. Which is more important to student learning, the web-connected device, or the LMS product? Your thoughtful response to this is welcome.